There is worry in the land. What is responsible for fire incidences at INEC facilities in parts of the country all in less than two weeks? 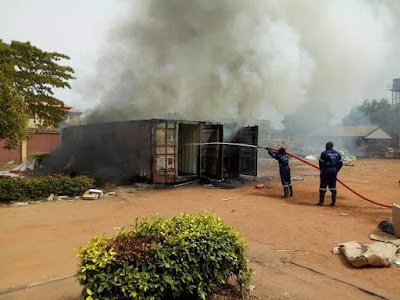 A container carrying card readers of the Independent National Electoral Commission, INEC, in Anambra state, was on Tuesday gutted by fire. 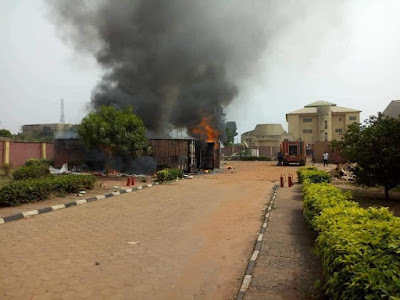 The INEC officials accompanying the card readers took to their heels as the fire raged. Fire fighters could be seen from the pictures of the incident, trying to put out the fire. 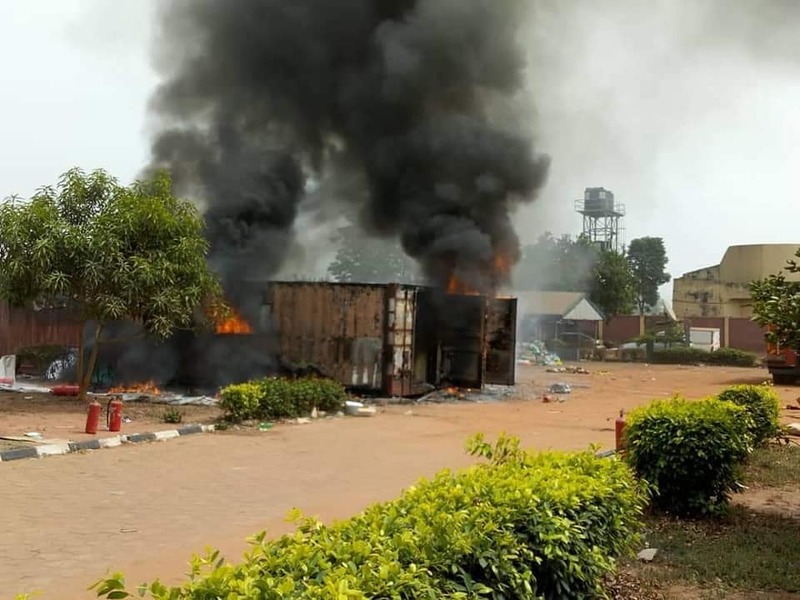 INEC leadership said they believe a thorough investigation will shed more light on the latest incident.